Presented with a bleak black-and-white palette, Philippe Garrel’s latest feature film Jealousy is rather bleak, pushing us to the limit as we patiently wait for any defining moments or major character developments. The film follows many characteristics of the French New Wave, thus it’s advised those only truly knowledgeable in that particular area should watch the film. Unfortunately, if you’re one of those that aren’t so attuned to it, prepare for a dull and dreary ride. 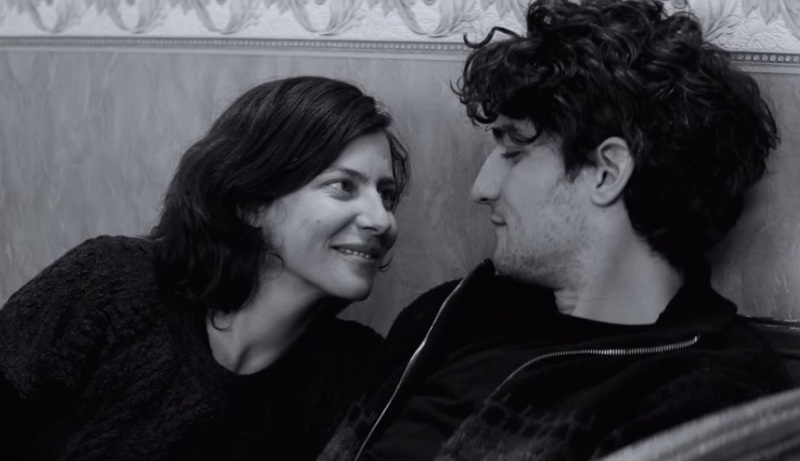 The film stars Garrel’s own son, Louis Garrel, who plays the protagonist of the same name. A struggling actor who wishes to reignite passion and spontaneity in his mundane life, Louis decides to leave his wife, Clothilde, to pursue a relationship with his troublesome mistress, Claudia. Shocked and surprised by her husband’s revelations, Clothilde is left to raise their 8-year-old daughter, Charlotte, on her own. Like Louis, Claudia is an actor, but her career has more downs than ups as she struggles to secure acting roles. What comes thereafter is a following of their everyday endeavours, and really not much else. Louis finally lands a role in a minor play, while Claudia continues her search for that career defining moment she so longs for. But every attempt fails to come to fruition, and the longevity of unemployment begins to take its toll when she becomes frustrated with how boring her life has become. Eventually, she falls prey to temptation and gives Louis a taste of his own medicine, cheating on him with another man she meets at a bar. The choppy editing makes the film quite awkward to watch, which in turn makes it rather difficult to understand the complex relationship between Louis and Claudia. The transition from one scene to another is disjointed and, therefore, it becomes a challenge to pinpoint any significant growth in the relationship. Another filmic technique prevalent is the open-ended structure of the film. The reason why Louis left Clothilde in the first place isn’t properly explained; it’s up to the audience to interpret his reasons through his bubbly behaviour with Claudia as opposed to the monotonous moments he had with Clothilde. Furthermore, the flat tones of the dialogue also make for uncomfortable viewing, the static in their speech making it seem as if every character is withdrawn from each other. Fragmented conversations filled with awkward silences permeate throughout the film. Again, this is another French New Wave device employed by Garrel – improvised dialogue. This could probably explain the strange pauses throughout, as actors are left to their own accord to build a conversation. Charlotte was a standout performance in the entire film, and though only a minor character, she provides a decent balance to the film’s overall depressing outlook on infidelity and love. Her mother-daughter bond with Clothilde is very heartfelt, particularly during dinner where we witness Charlotte’s innate childlike curiosity and energetic enthusiasm for life. The anticlimactic end of the film ties in naturally with the monochrome backdrop, and Philippe Garrel’s decision to name the film ‘Jealousy’ is highlighted through Claudia’s obnoxious adultery and Louis’ infidelity, but the rest of it just feels like random fillers compiled together to make one lengthy feature film. Those who are well versed to French filmmaking might thoroughly enjoy it, but for the rest of us, we are left with a feeling of ‘that’s it?’ The fact that every important character has a name starting with C doesn’t ease the confusion any less.